"Papa, I miss you so much... You were such an amazing..."
"Howard talked me into joining the Navy back in 1959. It was..."
"We will all miss you incredibly Howey, but I know Karen is..."
"Amazing man, life of the party, dearly missed by all. 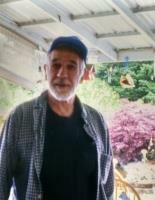 ..."
"Howey u will be missed and loved by all know u r with your..."
Howard Lee Poyner, age 75, of Vancouver, Washington, passed away March 20, 2016 surrounded by loved ones. He was born on February 20, 1941 in Ava, Missouri. Howard served in the United States Navy from 1959-1963. Once out of the Navy, he worked as a millwright until retirement. He enjoyed gambling, fishing, and spending time with family. Howard is survived by his brother, Russel Poyner; daughter, Michele Thode; step-children, Tina Butler, Tammy Hallman, Alvina Vuylsteke, Michael Troxel, and Tim Trachtenberg; 13 grandchildren; and 6 great-grandchildren. Howard was preceded in death by his beloved wife, Eilene Poyner; parents, Lilly and Lloyd Tucker; and sisters, Pauline Kemp and Christine Casteel. A funeral service will be held at Evergreen Memorial Gardens, Fri., March 25th at 10a.m., with a viewing there Thurs., Noon-9p.m.